Features the latest news articles in dentistry and oral health from around the world. Article first published as MOUTh - Unique Technique Improves Dental Hygiene in Dementia Patients on Technorati. Dementia is a condition that causes a loss of brain function that occurs with certain diseases. A person suffering from dementia is affected in many ways from memory loss, thinking abilities, language, judgement and also in behavior. These patients tend to resist care when they feel threatened. They are also unable to care for themselves and need help. Nursing a person suffering from dementia can be a very challenging task, especially for the nursing staff that has to take care of their oral and dental hygiene. These patients usually have very poor dental hygiene and they generally resist any kind of treatment by resorting to fight and bite as they feel threatened. To find a solution to this problem, Rita Jablonski, assistant professor of nursing at Penn State University, along with her team of nurses conducted a pilot study to come up with a unique approach to improve the dental hygiene in the patients suffering from dementia, called Managing Oral Hygiene Using Threat Reduction (MOUTh). "We have come up with 15 strategies, techniques to help reduce threat perception," said Jablonski. "To my knowledge, we are the only nurses in the country who are looking at ways to improve the mouth care of persons with dementia, especially those who fight and bite during mouth care. Our approach is unique because we frame resistive behaviour as a reaction to a perceived threat. "The techniques or strategies used by the team of nurses included actions and behavior that basically reduced the perceived threat by the patient, and this was accomplished by approaching the patients at eye level when they were seated, smiling, pantomiming and guiding the patients to perform their own care. The MOUTh technique may prove to be the answer to improving the dental hygiene of patients suffering from dementia, if adopted and practiced successfully by the nursing staff all over the world. Thanks for the comment and information provided. Specialized dental treatment can be very expensive at times, and having dental insurance to take care of the charges can be a great help. And since the premiums for dental insurance plans also can turn out to be quite a large sum, getting discounted plans or insurance is the need of the hour for many people. These patients usually have very poor dental hygiene and they generally resist any kind of treatment by resorting to fight and bite as they feel threatened. Excellent post, I discovered your site through Google. I bookmarked your website for furture infomation, thanks. Should Wisdom Teeth Be Removed as a Prophylactic Measure? 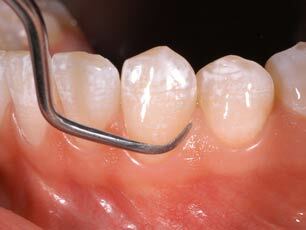 Dental Health and Oral Hygiene - Plaque Vs Calculus - What's The Difference?